As pointless as it may be to put a SPOILER warning on this review, given that the "shocking twist" at the end of this issue was revealed over three months ago by DC Comics' preview for this series, nevertheless I am giving a warning. If you haven't read Superman #43 yet, know that I enjoyed this issue immensely and would recommend reading it for yourself. Abandon this article now if you would remain unspoiled! At last we learn how it was that Lois Lane betrayed Clark Kent's secret identity to the world. And to the credit of Gene Luen Yang, the reason she has is a darn good one. So what could drive Lois Lane to expose Superman's greatest secret? It is not, as many suggested, a desire for the fame or glory attached to such a big story. It is fear that motivates her. Fear of what Superman might do to protect the people he cares about from a cunning blackmailer who is three steps ahead of him. So Lois does the only thing she can to save Superman and all that he stands for as Clark Kent elects to play along with the blackmailer's demands while waiting for an opportunity to free himself later. She reveals everything to the world, thus making Hordr-Root's threats worthless and freeing Clark to fight back against the master hacker. 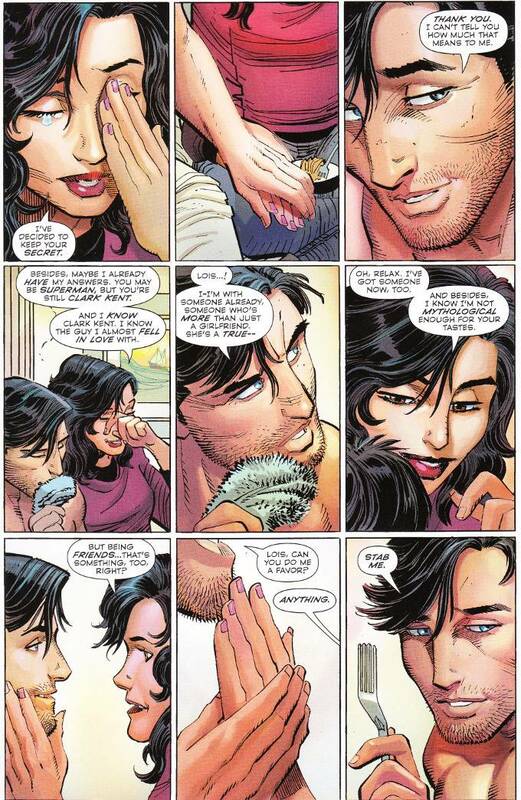 There is a subtle parallel here between the conflict between Lois and Clark at issue's end and the Superman fandom. Clark idealistically believes that, given time, he could have figured a way out of this mess whereas Lois, ever the realist, makes a difficult choice to prevent what she sees as the greater (or at least more immediate) of two evils. Consider how this mirrors the argument over the idea that Superman should always find a way to win in the end versus those who feel Superman is at his best when he is faced with emotional conflicts that require more than physical strength to solve. Doubtlessly some will say that this story is terrible because Lois' trust in Superman should be absolute. Others will say that this story is well in keeping with Lois' nature to be a proactive figure who does what she thinks is right and damn the consequences if the world disagrees with her. I think there is a grand discussion to be held regarding those ideas and hope this issue provokes such conversation rather than inspiring an army of Super-fans to rage quit the series. Regardless of how you feel about the story, the artwork is exquisite. 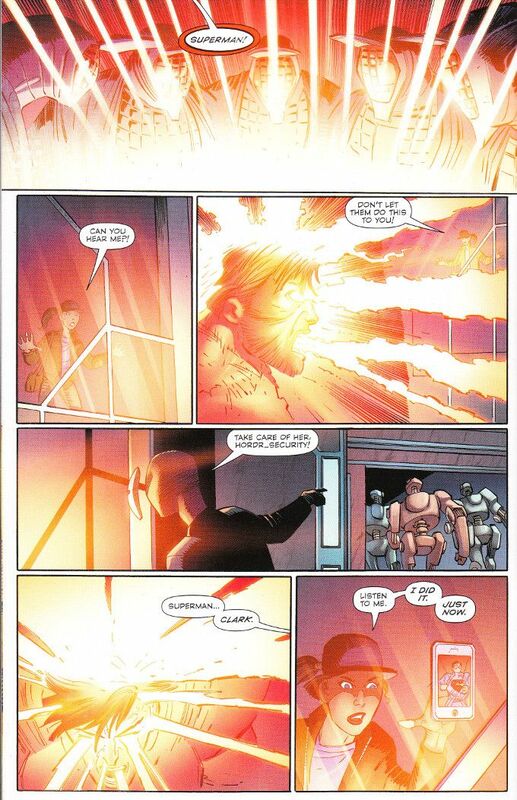 John Romita Jr. is in fine form. And one would never know that this issue featured a team of two inkers and three colorists, so well does the team work together in maintaining a uniform style throughout the issue.